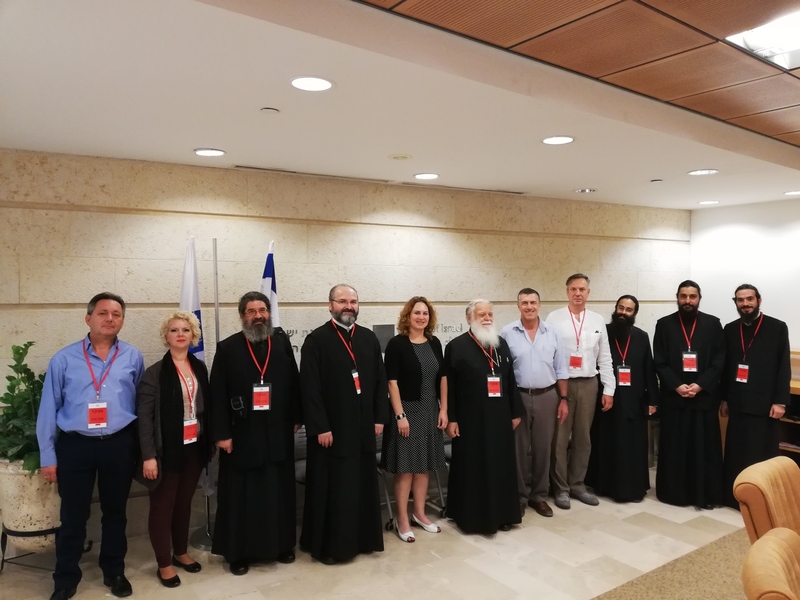 For the first time a delegation of Greek-Orthodox Clergymen coming from the Orthodox Church of Greece has visited Yad Vashem for a special study day program. 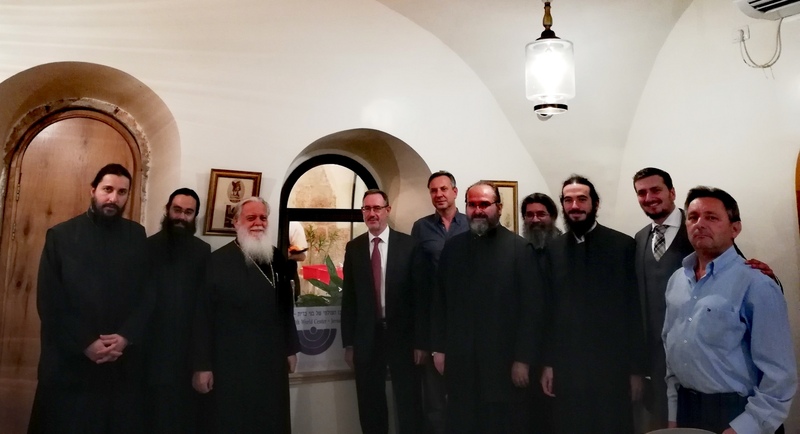 The Interorthodox Centre of the Church of Greece organized this visit after an official invitation by the Embassy of Israel in Greece. Metropolitan Ioannis of Thermopylae, the Director of the Interorthodox Centre of the Church of Greece, as Head of the delegation accompanied by a special group of priests and the scientific staff of the Interorthodox Centre (Mr. Sergios Voilas, Mr. Christos Nasios, Mrs. Kalliopi Mavragka) had the opportunity to meet and speak with Mr. Moshe Ha’elyon, a Greek-Jewish survivor from the Holocaust. The delegation also had a special meeting at the Ministry of Foreign Affairs with both Mr. Akiva Tor, Head of the Bureau for World Jewish Affairs and World Religions of the Israel Ministry of Foreign Affairs and Mrs. Sharon Regev Director, Department for World Religions. The delegation had an evening event organized by Mr. Alan Schneider the director of B’nai B’rith World Center in Jerusalem. Moreover a very important meeting took placed at the Patriarchate of Jerusalem, where His Beatitude Theophilos III, Patriarch of the Holy City of Jerusalem and All Palestine welcomed the delegation and blessed the efforts of the Interorthodox Centre of the Church of Greece on issues of peaceful coexistence between Christians and Jewish. The visit was carried out with the support of the Stavros Niarchos Foundation, Mr. Vasileios Paisios, CEO, Alfa Agricultural Supplies S.A. and the Embassy of Israel in Greece.